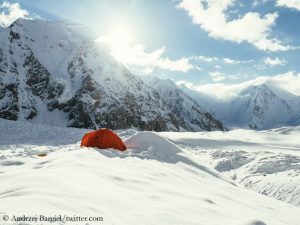 Anniversary years seem to make summit successes more likely on K 2. But perhaps it is also simply because there are more climbers on the mountain in those years. 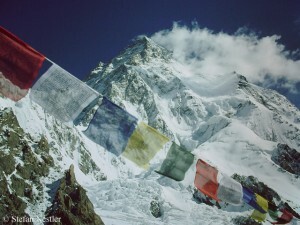 In 2004, the Golden Jubilee year of the first ascent of K 2 (on this occasion I also visited the base camp), 51 climbers reached the highest point at 8611 meters. 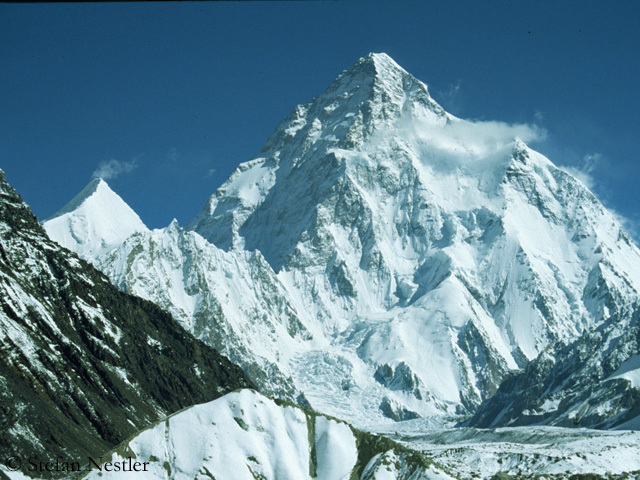 This summer, 60 years after the first ascent, it was only short of the record: 48 summit successes, 32 of them on 26 July, are quite a view, considering that there have been several summer seasons on K 2 like that of 2013 without anyone standing at the top. There were six women among the K 2 summiters in July: the Nepalese Dawa Yangzum Sherpa , Pasang Lhamu Sherpa and Maya Sherpa, the South Tyrolean Tamara Lunger, Chinese Luo Jing and the New Zealander Chris Jensen Burke (who also has an Australian passport). It is a matter of debate whether the success of the three Sherpani counts as an “all-female summit”. 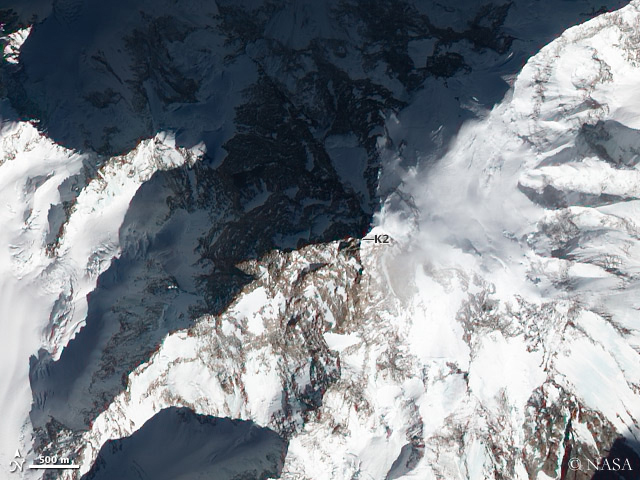 The National Geographic magazine reports, that three male Sherpas accompanied the women to the summit. On the same day, 26 July, the Czech climber Radek Jaroš was on top. 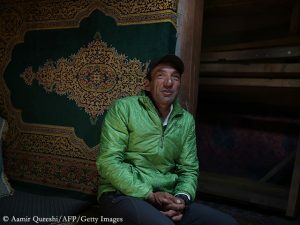 The 50-year-old, who climbed without bottled oxygen, completed his eight-thousanders collection, as first Czech ever. Jaroš is only the 15th, who climbed all 14 highest mountains in the world without breathing mask. There was one death in this K 2 season. The Spaniard Miguel Angel Perez died in Camp 4 at 8200 meters. 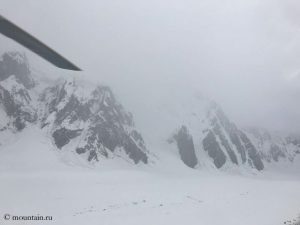 Previously, he had reached the summit and then, apparently already suffering from high altitude sickness, bivouacked above the camp. Perez, climbing K 2 as his ninth eight-thousander, was 46 years old when he died. R.I.P.